Codeshares and deeper ties on the way! The national carrier of the Kingdom of Bahrain, Gulf Air and the national airline of the United Arab Emirates, Etihad Airways, are set to explore deeper cooperation following the signing of a Memorandum of Understanding (MoU) at the Bahrain International Airshow this week. The MoU also contains plans for greater commercial cooperation in the fields of cargo, engineering, guest experience and the optimisation of pilot training facilities. It was signed on the first day of the Bahrain International Airshow, currently taking place at the Sakhir Airbase, by Mr Tony Douglas, Group Chief Executive Officer of Etihad Aviation Group, and Mr Krešimir Kučko, Chief Executive Officer of Gulf Air. Mr Douglas said: “The deep ties between Abu Dhabi and Manama are well-known in the aviation world and date back nearly 70 years. Therefore the natural way to build upon those ties is to examine ways in which the two flag carriers – Etihad and Gulf Air – can work more closely together to improve business operations and enhance the experience for our guests. 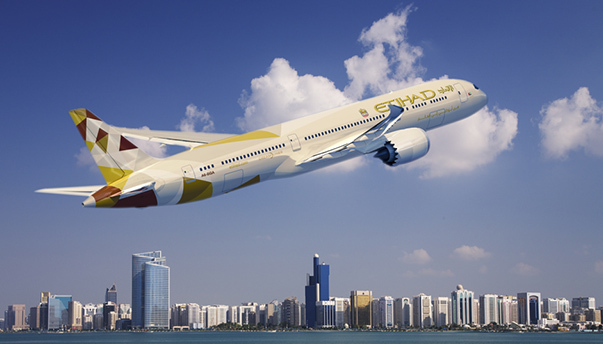 In addition to exploring codeshare operations, the teams at Etihad Guest and Gulf Air Falconflyer loyalty programmes will shortly begin discussions which would see members of each programme being offered reciprocal earn and burn opportunities. The teams in both carriers’ engineering and cargo divisions are also set to begin talks about greater cooperation. These discussions would look at optimising MRO (maintenance repair operations) opportunities, as well as ways to increase volumes of freighter traffic flowing into and out of Abu Dhabi and Bahrain. 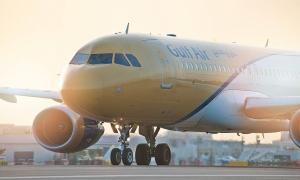 Gulf Air currently operates four return daily flights between Bahrain and Abu Dhabi while Etihad currently operates three return daily A320 operations between Abu Dhabi and Bahrain. .